WDW Radio Family’s 5th Anniversary! | Focused on the Magic : WDW Radio Family’s 5th Anniversary! WDW Radio Family’s 5th Anniversary! We're Celebrating today, February 11! 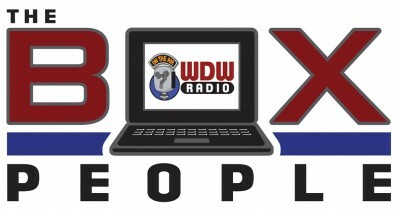 Starting at 10:00am EST, tune in to WDWRadioLIVE.com with the WDW Radio Family! There's a Box People Party like none other! Stop by the Happy 5th Anniversary Celebration. Look for me in the Box by my Box People name, Debs_Dis ! FIVE fun hours in the Magic Kingdom!